Is Himalaya Herbals Acne n Pimple Cream the right thing to tame Acne? The moment you think your skin is in good condition your skin immediately proves you wrong 😡😣😣. I rarely get breakouts while travelling so I didn't carry any pimple cream with me, only thing I carried was Auravedic Anti Blemish face mask with me. To my utter dismay I had small zits all over my left cheek. 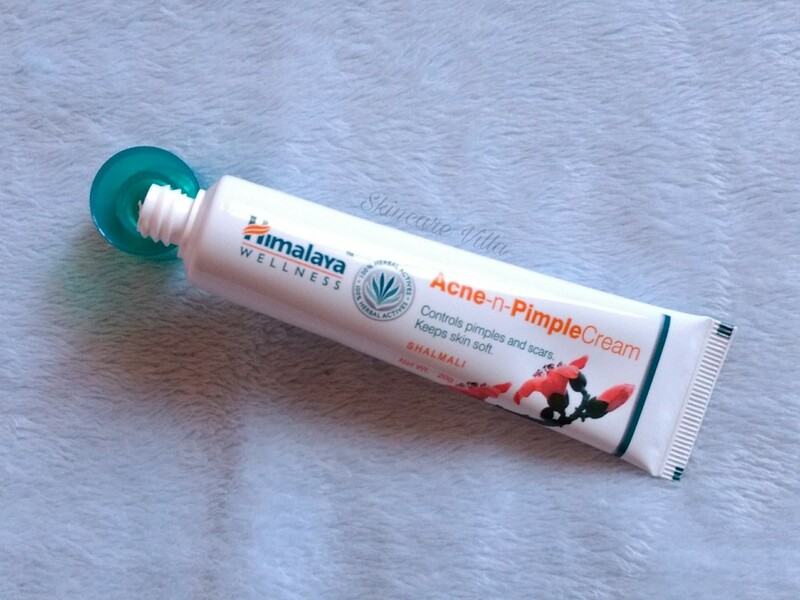 That's when I thought of getting a pimple cream, Himalaya Herbals Acne n Pimple Cream. 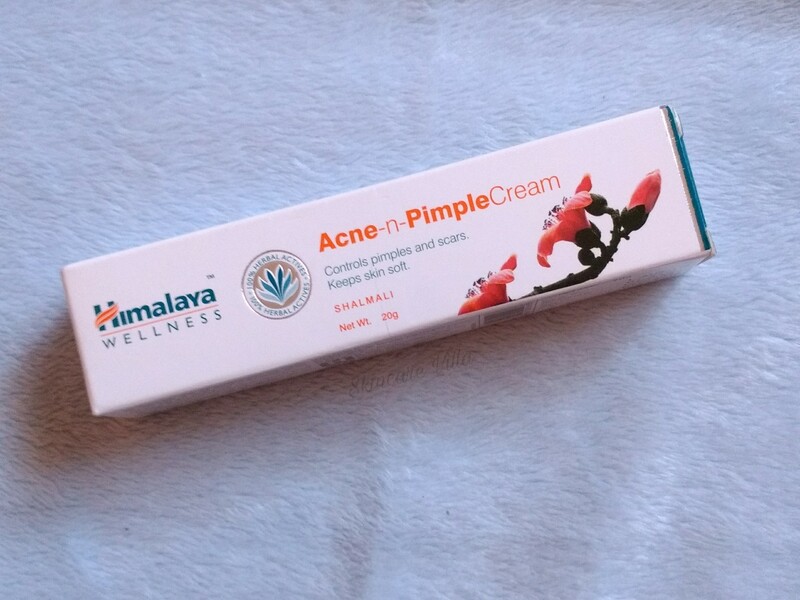 As seen in the pictures the cream is housed in a small 20g tube which bears a the signature Himalaya Herbals packaging. The cream is beige in colour with a hint of glazy appearance. If you have ever used Vicco Turmeric cream you would understand the glazy appearance, else it is very unexplainable 😛. Coming to the consistency and texture of the cream, it's very light in consistency and texture very soft. The fragrance is very pleasant with floral, herbal scent which lingers a bit and depends upon the area of application. The cream needs to be massaged a bit and is intended to be used as a spot treatment day and night. 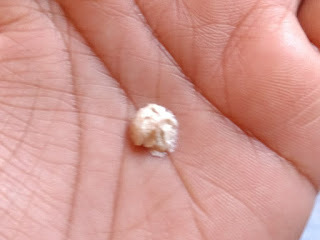 I applied on my zits during travelling in the morning after bath and before hitting the bed. The next day my small zits disappeared without leaving any marks. The big acne spots however took around 2-3 days, to reduce in size. 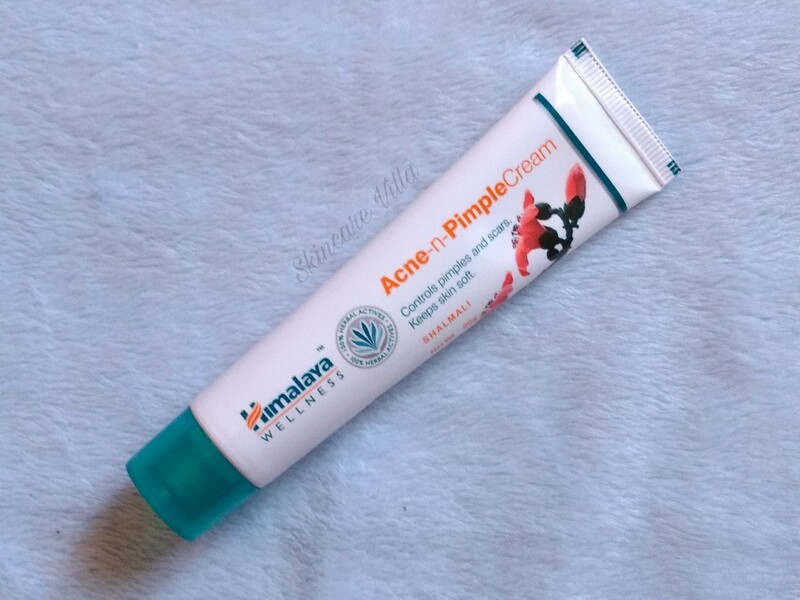 The cream works on reducing the puffiness of the acne and not the size of the acne. Big ones which are full fledged ones will take time to go off. Smaller ones got tamed away easily😂. One more thing, it controls the acne and doesn't prevent the acne. While I was working on my left cheek acne new big one emerged on right cheek inspite of applying the cream on right cheek. Moreover the cream has parabens but can be used as a handy product to make the appearance of acne less prominent than the untreated ones. Also the product needed for each use is very less, rather than 20g tube itself will last longer than 4-5 months. Price, Shelf life and Availability - 45 INR for 20g with a shelf life of 3 years. Easily available online as well as in stores. 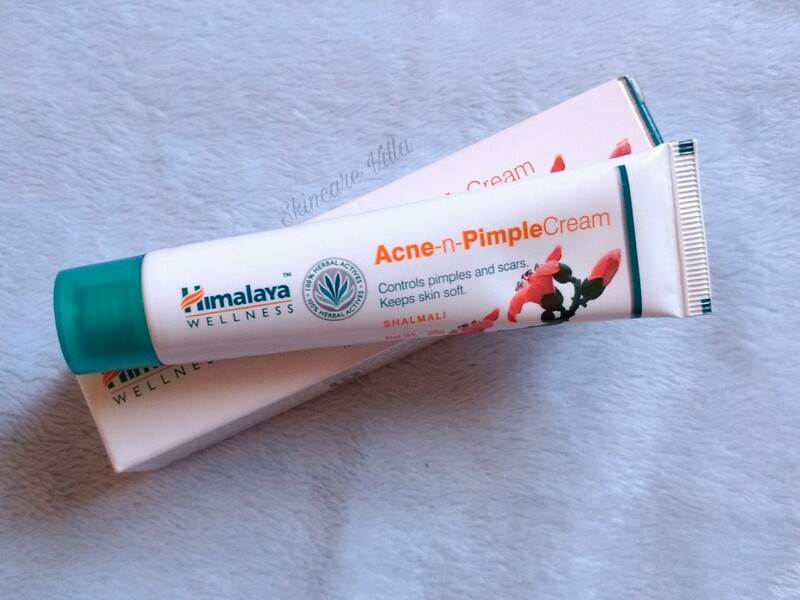 I would recommend the Himalaya Herbals Acne n Pimple cream as a control measure when we want to reduce the pimple appearance. But the cream cannot be used as a preventive measure for acne. Also it contains parabens and hence some may not like it. It would be good if a formulation sans paraben is available.